Annandale-on-Hudson, NY—In a world that will soon be supporting ten billion people, there is a critical need for educators who can teach the “users manual” for the planet. In support of that goal, Bard College is now accepting applications for fall of 2018 for a new Masters of Education degree in Environmental Education. The program aims to help create an informed and engaged citizenry, supporting progress towards a just, prosperous, and sustainable future. Through intensive academic training, real world professional experience, and career development opportunities the program will enable graduates to pursue successful, high-impact careers in private schools, NGO’s, government land management agencies, sustainability offices, private land conservation organizations, museums, environmental education centers, and consulting firms. Students pursuing the M.Ed. will take a carefully curated program that combines a core of environmental education offerings with graduate courses from the Center for Environmental Policy and the Master of Arts in Teaching program, as well as electives from other Bard graduate programs. The nine-month, first-year core curriculum is taught at the main Bard campus and integrates the study of environmental education and communication, including a January-term intensive course focused on place-based and outdoor education, with environmental science and policy, curricular development and pedagogy. After completing the first-year courses in late May, students are no longer expected to be in residence at Bard. During the second year, each student pursues an extended, high-level professional internship. 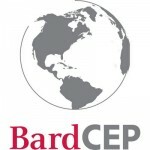 Placements include schools, museums, research institutes, and NGOs in the Hudson Valley, the New York metropolitan region, across the US, and globally, utilizing the well-developed professional networks of Bard CEP and the Bard MAT Program. In the final semester, students complete a Master’s degree capstone project under the direction of a Bard faculty member, while attending capstone seminar classes online.